MIYO, Analog/Digital Converter from H2 Designs. 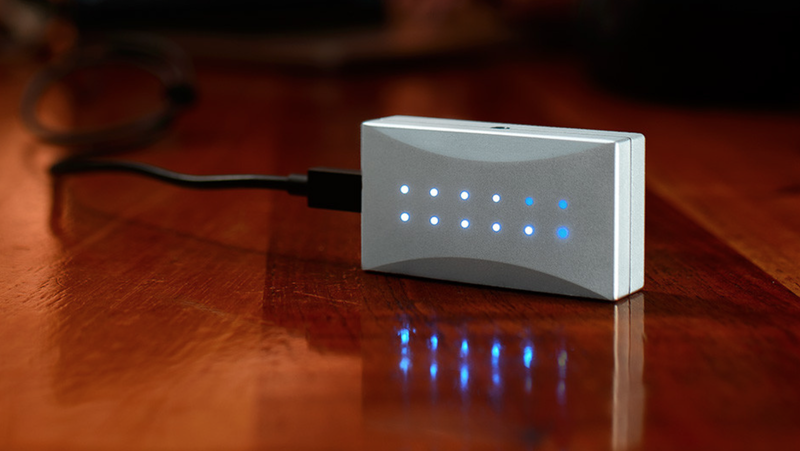 MIYO is a 72 x 39 x 19mm and 170g box that connects via USB to any audio digital devices. It features two separate headphone amps with analog output attenuation via your OS volume control. The 1/8” headphone outputs also serve as S/PDIF optical outputs. An 1.8” line input with A/D converter is also included, as well as two master clock with less than .5ps jitter. MIYO supports audio resolutions up to 24-bit / 192kHz and features meters with different modes for monitoring the input recording and output with clipping indicator. 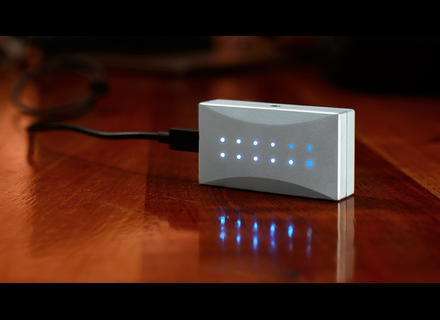 MIYO is USB-powered and is compatible with Mac and PC computers. The device is introduced on KickStarter, H2 Designs needs $20,000 to fund the project. Final price is $250 but the first 100 funders get a $50 discount. A dual MIYO pack is also available for $400. If funded, MIYO will start shipping in March, 2015. H2 Designs is also online at gomiyo.com. From Creation to Final Mix Part 2 Discover today the second part of the Avid/Puremix video series dedicated to the The Arrows music creation with producer Fab Dupont. 96kHz HD audio on Nimbit and StudioLive AI PreSonus announces that its StudioLive AI mixers and the Nimbit music promoting platform now supports 96kHz HD audio. [BKFR] Plugin Alliance Black Friday deals Plugin Alliance has launched its Black Friday sale, with 22 plug-ins available for $99 each until November 30th.